We often hear couples worry about how to organise a Last Minute Wedding. They are put off by worries that it will be too difficult. That there will be too much to do. Yet you can make some major savings by taking a Last Minute date and actually avoid a whole world or protracted stress. Many who have planned weddings will tell you that they feel the pressure of other peoples expectations. This grows over time it does not decrease. So what do you need to know and do? Set a limit. Lets be honest few of us have the luxury of an open ended cheque book. Be realistic however. Be aware that the largest expense is likely to be your venue. So if you are unsure do a little research into the type of venues you like. Its not rocket science. The more people you invite the greater the cost and sometimes the more complicated its gets. Getting RSVPs is often hard. Increasingly popular options are small/intimate weddings of 50 or less that take place in the day as was common in the 40-60’s in this country. After all with 50 or less you are unlikely to get a successful evening reception anywhere. If you are stuck with a large family or families its not necessarily a crisis. A Last Minute Date can give you more “bang for your buck” so you can afford the large numbers. Identify the style you want – elegant, Traditional, rustic … then look at venues with this in mind. Don’t get bound up with Hotels. Most venues without accommodation have lots of local accommodation available and often its half the price or less than those of Hotels that use the rooms to add to their profits. Look for advertised special Offers and Last Minute Rates and visit or call venues you like and ask. Above all you do want to be sure you are legally married. For a Civil wedding (with Registrars at the venue or at the Registry Office) you need to give 28 days clear notice. The time runs from after you appointment with the Registrars to arrange things NOT before. Think of it as needing to be a poster on a wall somewhere for 28 days. There are similar requirement for most churches too. Talk to the Vicar or Priest for Christian denominations and for others check on the legality carefully. Not all are recognised by the state. This need not be a big problem. 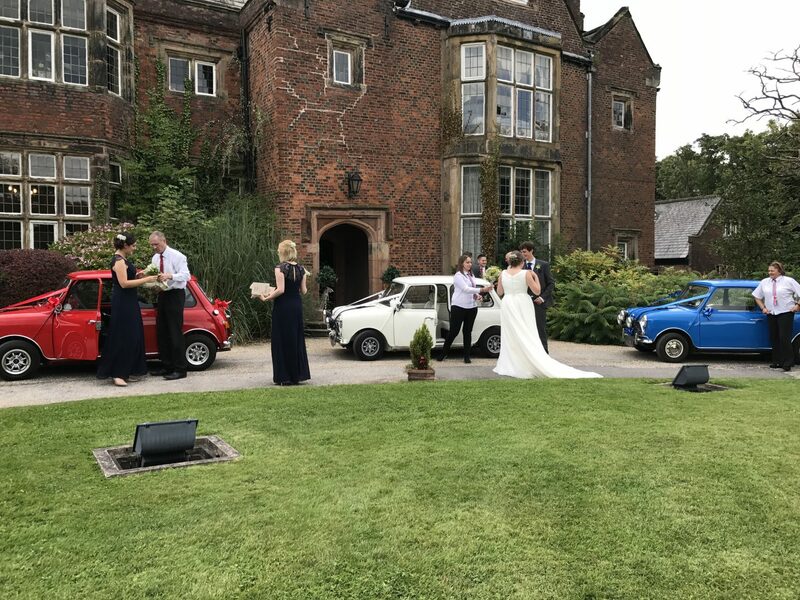 If you cannot get married legally on the date or time or at the place you want then just “do the legal bit” at a Registry Office either before or after and get a celebrant to do a type of ceremony for you on the day in the style you want! Most will be happy to pitch in. They may want to help with the cake, invitations etc.. Does your dream include a specific type of transport? A horse & carriage? A vintage car? Again ask you venue for tips, family, friends and last of all “google”. The same discount principal will often apply here for these suppliers too. First question – do you want one? If so then be aware the good ones are not cheap. Expect £500 min & more likely c.£900. Try negotiating as again this is Last Minute. Alternatively is a family member or friend a keen photographer? Or perhaps you could get an APP & get the guests to download their photos to it. As mentioned above you may be able to get the venue to add these to the package at least in respect of the table centres. That just leaves button holes & bouquets. So final tips – make a list, assign the Budget and keep it tight.